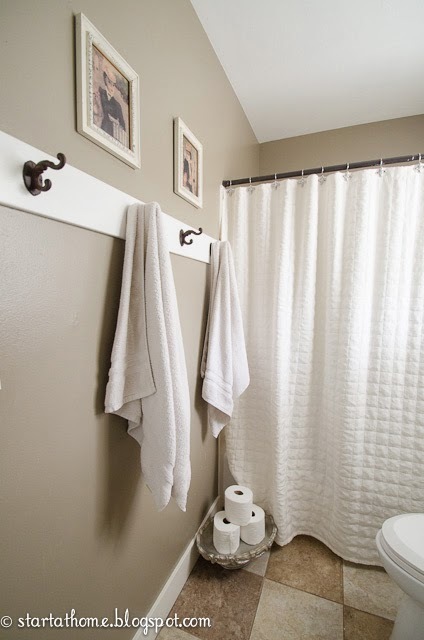 Start at Home: Update on the Master Bath! 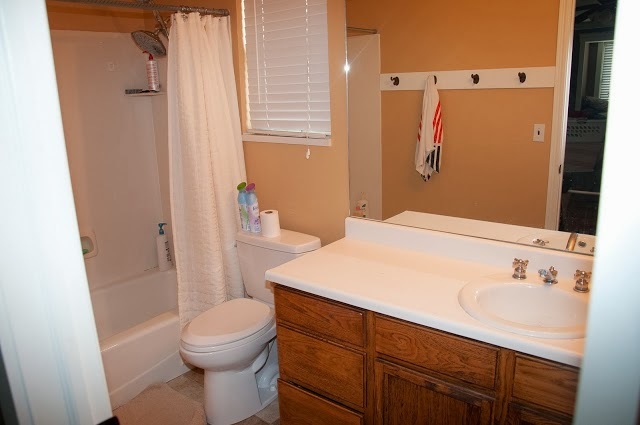 Oh my goodness--that does not look like the same bathroom. You did a amazing job! It looks fantastic! Its so beautiful and relaxing!!! You did an amazing job!! Love it!! That is the most beautiful bathroom I have ever seen! 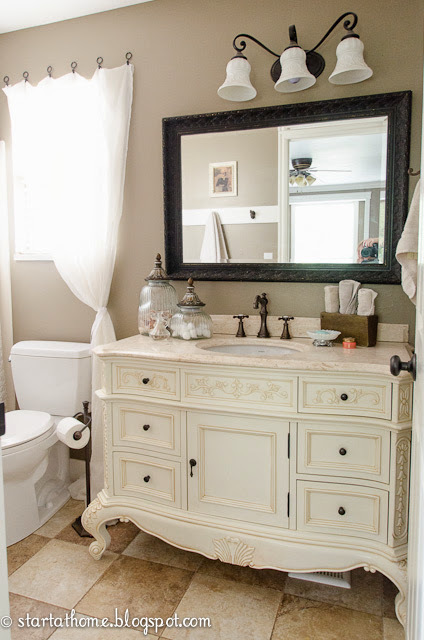 The bureau you have used to house your sink takes my breath away! So glad I stopped by! How beautiful - and what a difference. The sideboard/sink is perfect! Visiting from Ivy and Elephants. Your bath is so lovely! I have several things that I love, but there are two little things that really jumped out at me. 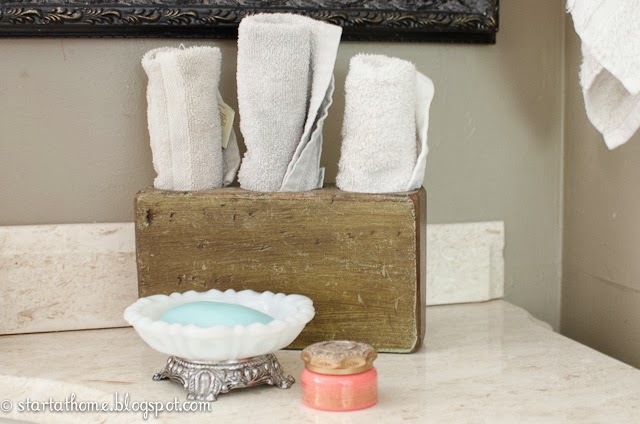 I love the little silver based soap holder and the very pretty little coral colored jar. They are small elements, but they make a huge impact! And I like the rustic wooden washcloth box against the two little pretties. How do you ever talk yourself in to leaving the bathroom!?! You have such a lovely new bathroom. I was on another blog and saw your redo. I love the way it came out. Thanks so much for linking your gorgeous bath makeover. 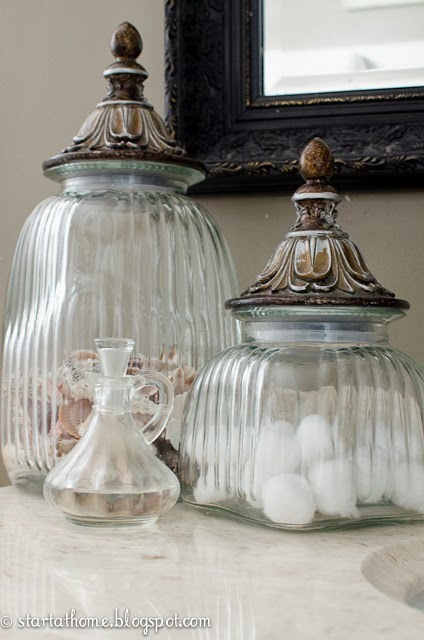 We featured it this week at Ivy and Elephants. Feel free to stop by and grab a featured button. Loving your bathroom. The colors are wonderful! 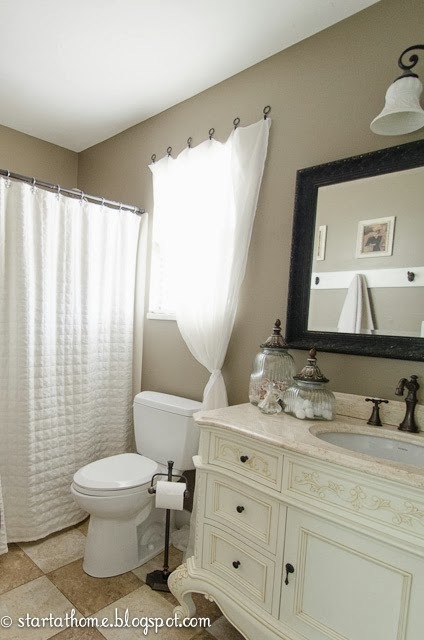 Love your bathroom. What color is the paint? 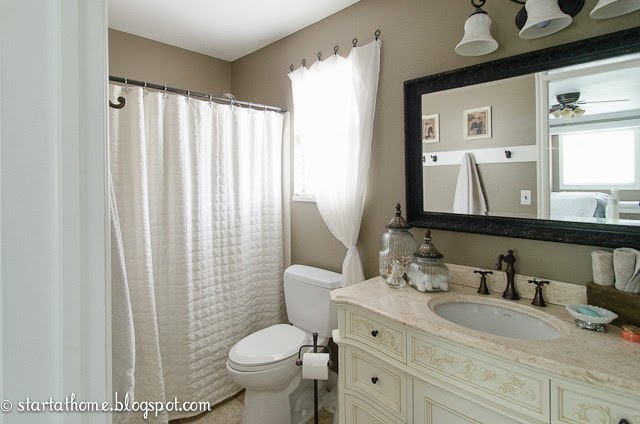 Love your bathroom, what is the color of the paint? Love!! Please, please, what is the countertop exactly? Just what I've been searching for! Please please post paint color! !